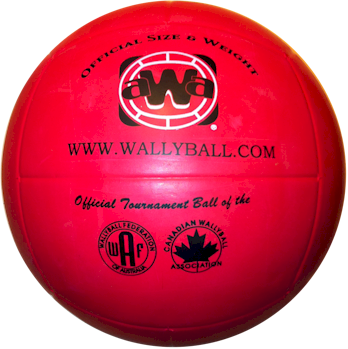 The I Ball Wallyball is officially endorsed by the American Wallyball Association® - Composite cover. True shape retention. "Accu-Balance. The I Ball Wallyball Competition ball is quite a mouthful, and this is quite a ball. With an Accu-Balance true shape retention it's no wonder this ball is so popular. In addition it has an extra-soft feel that will help its popularity endure for sure.